Today, I have something really special to share with you, all thanks to my beautiful, dear, dearest-love Ellen. 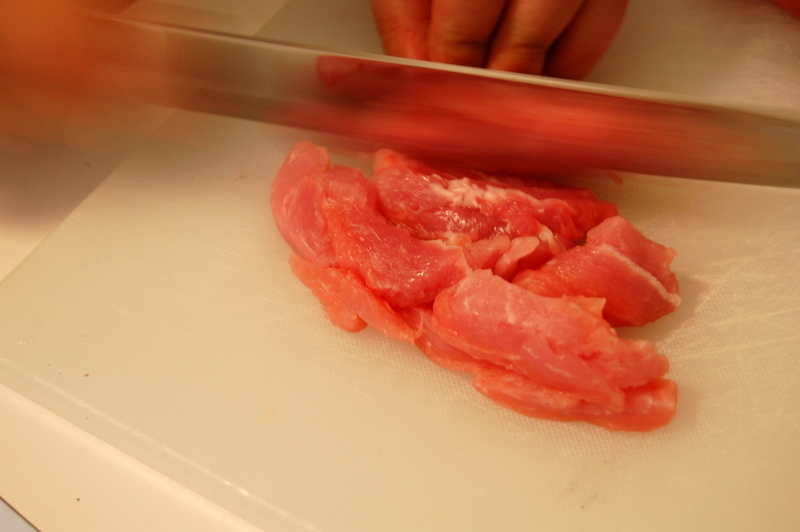 I have been hounding my Chinese friends to teach me their home-style recipes (ones you can only find on secret menus in Chinese restaurants) for the past couple years. I’ve been so lucky, with my friend Serena teaching me her crispy pork-and-shrimp-filled tofu, and today, a very special dish from my one and only Superspy. 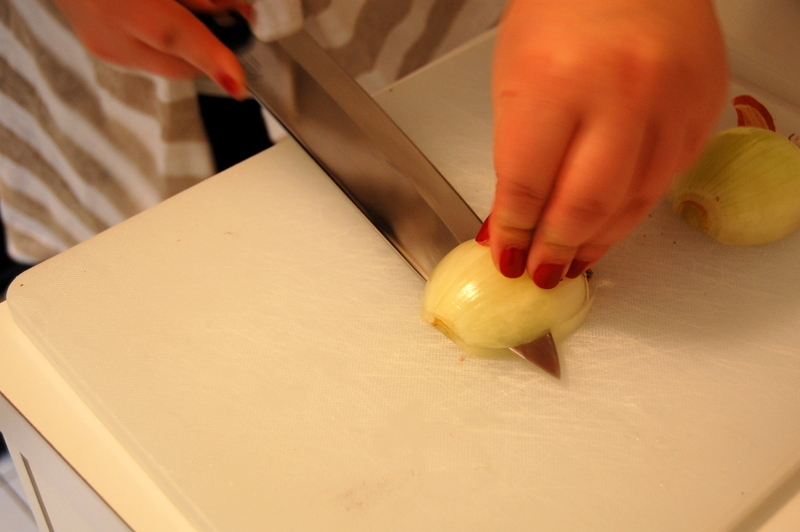 Her family’s version uses pork and fried shallots. Unfortunately, we were unable to find any fried shallots in the grocery store, but let me assure you, this dish introduced me to a new layer of food-exploration in my journey to eat all delicious things. It’s SO delicious! And REMARKABLY easy! 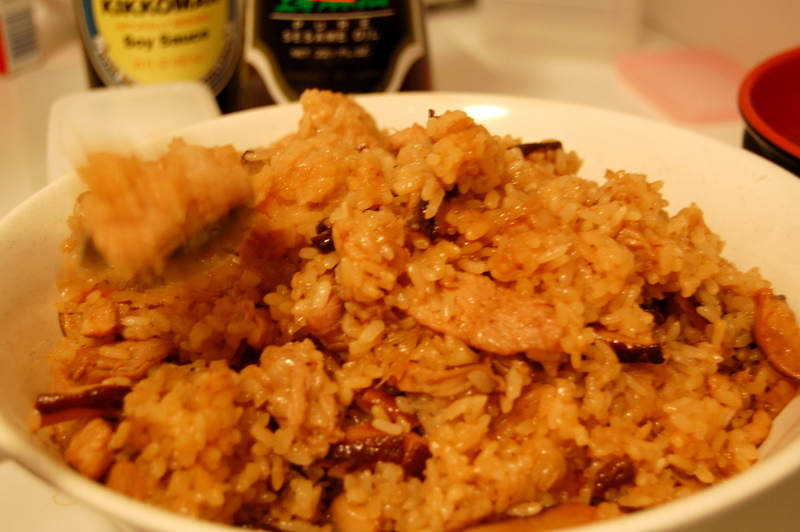 The flavors are so pure and nuanced, the pork is a delicious meaty-addition, and the mushrooms round out the earthiness of the sesame oil and sweet rice. Love! Thank you, Eugene, for opening up your bachelor-pad and letting us wreak havoc in your brand-new-kitchen, it is extremely-appreciated. And most of all, thank you Ellen, who was so gracious for allowing me to be a part of this amazing, personal family dish and letting me share here. I hope you enjoy this, and I hope this dish can create wonderful warm memories in your own homes as it did for me. 1. The aforementioned fried shallots: We were unable to find these at the H-mart in Manhattan, but Ellen tells me they can be found in most Chinese supermarkets. I will definitely look for this next time I am in Chinatown, because she tells me that the textural contrast with the crispy bits is a wonderful complement to the smooth-nature of the rice. 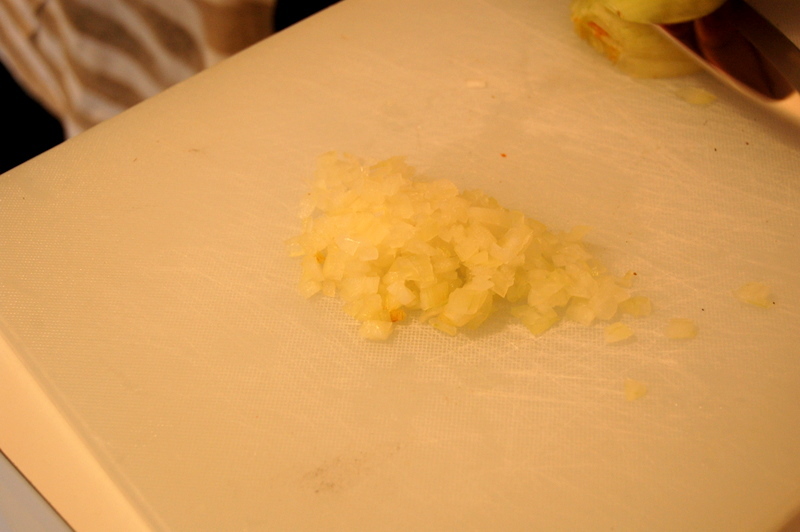 We used an onion, which we fried, and it was still delicious. 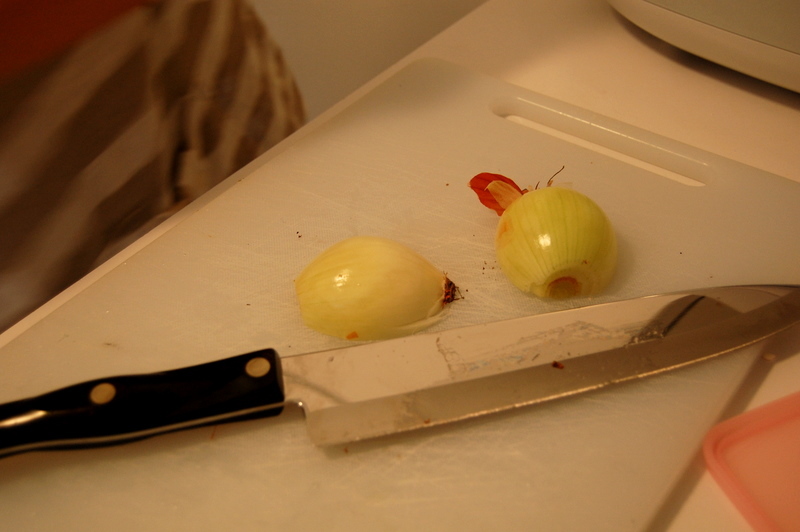 Try to find shallots, though. 2. 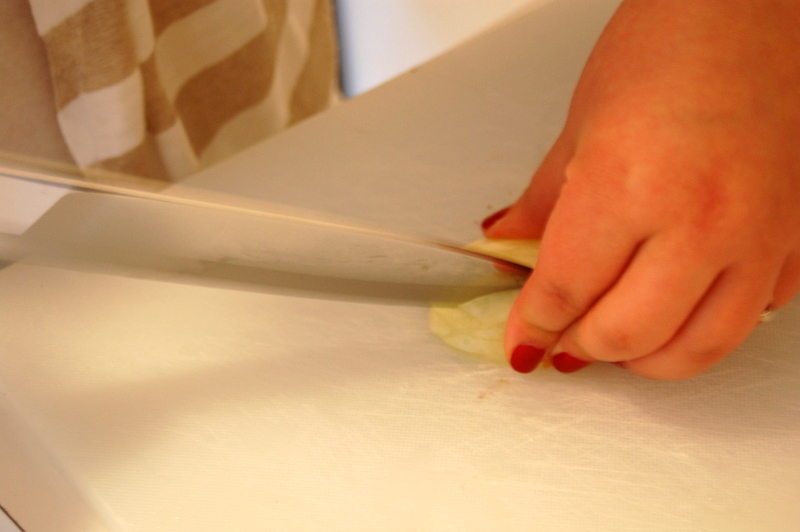 The measurements aren’t EXACT…apologies…but again, it’s really to taste on your personal preference. 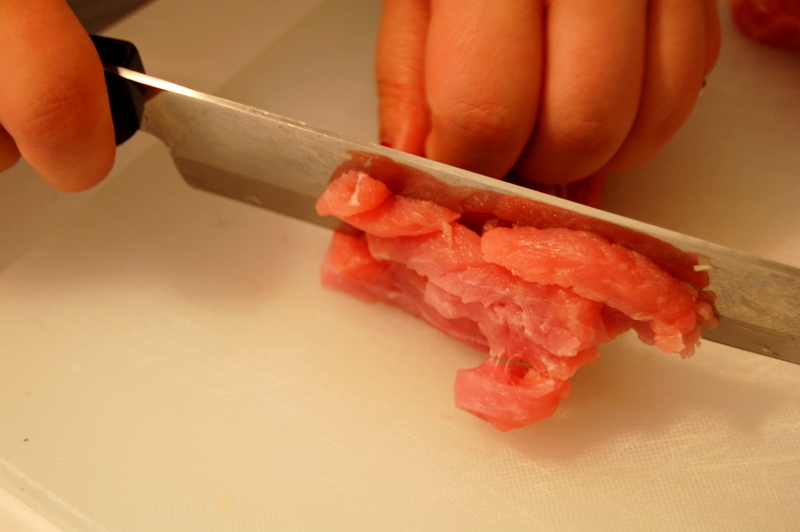 Ellen told me that she knows when it’s ready when it’s a certain color when she’s mixing in the soy sauce and sesame oil at the end, so it’s really up to you if you like yours to be nuttier with sesame oil, or saltier with soy sauce. I wish I had taken exact measurements for her version though, because it was pretty amazing. 3. 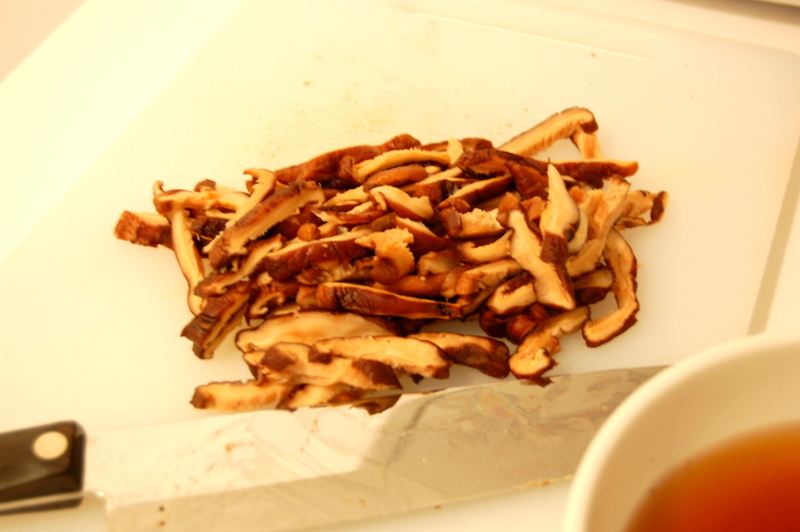 If using dried shitake mushrooms, as we did, rehydrate in water for at least one hour before using, and SAVE all the delicious mushroom-water. 4. All of this writing is making me hungry, so without further ado…here it is! 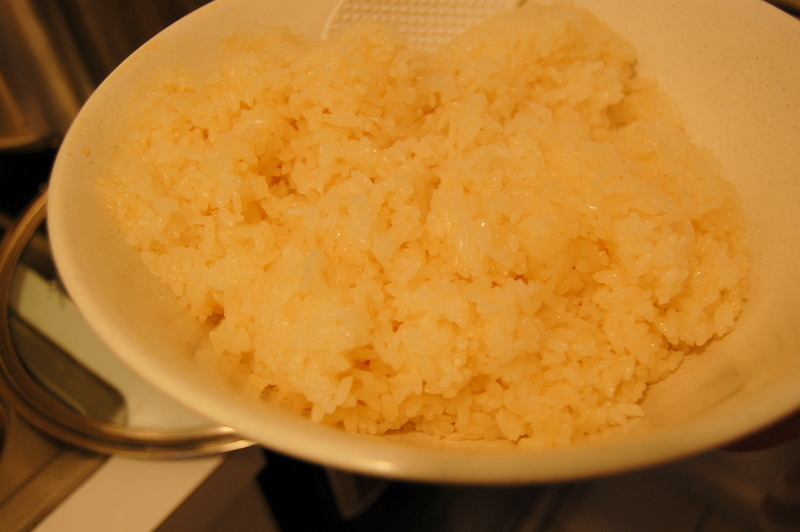 Cook rice according to package instructions with water. 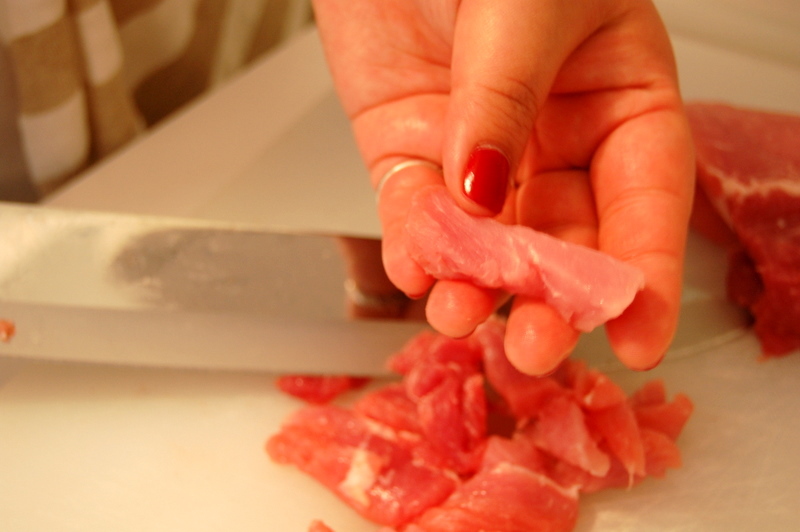 While rice is cooking, prepare pork. 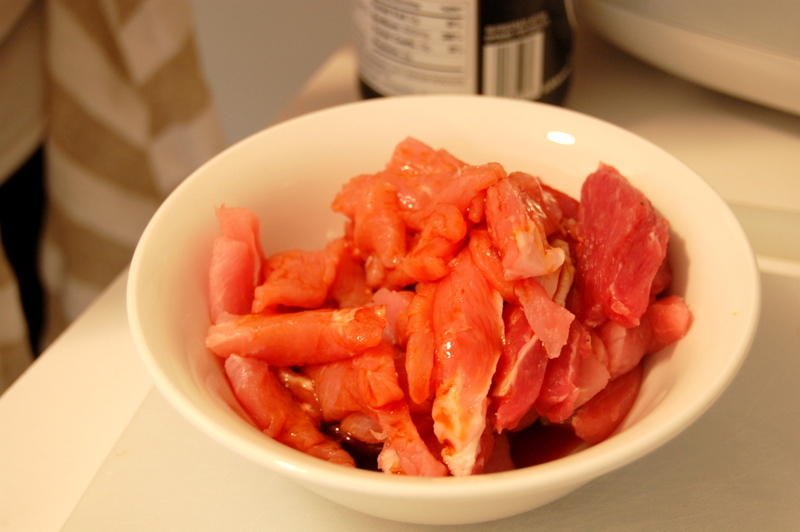 Marinate pork in the rice wine, soy sauce, ginger, and corn starch. 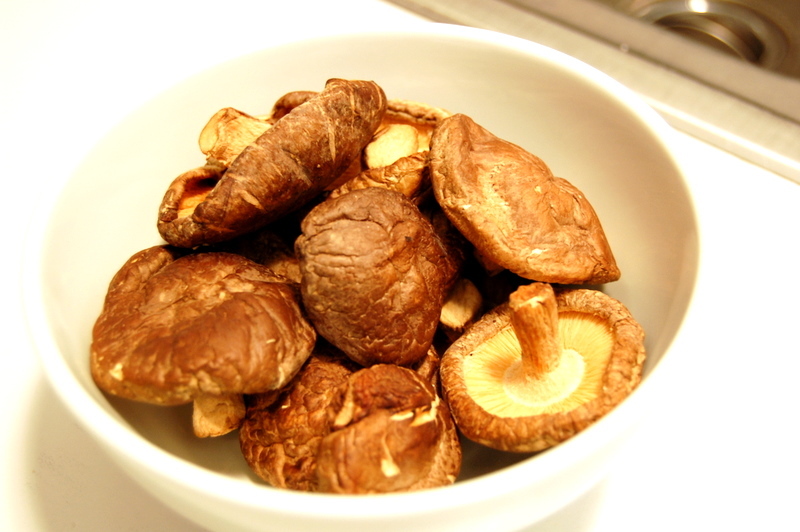 Set aside in the refrigerator for 15 minutes. 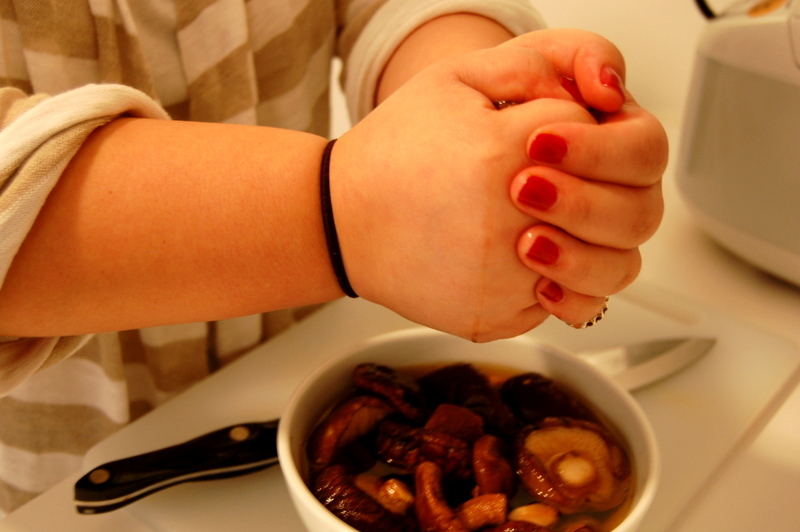 Remove soaked mushrooms from water, and squeeze excess into bowl. Save this water! 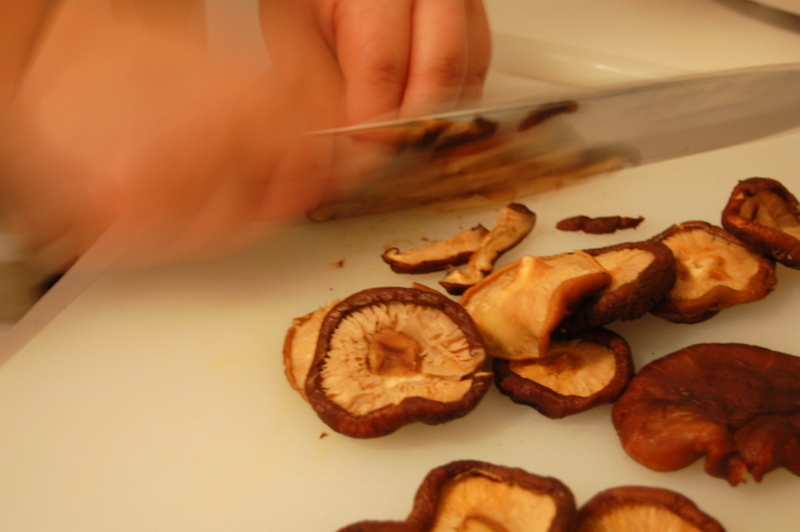 Remove the mushroom stems and slice in thin slices and set aside. 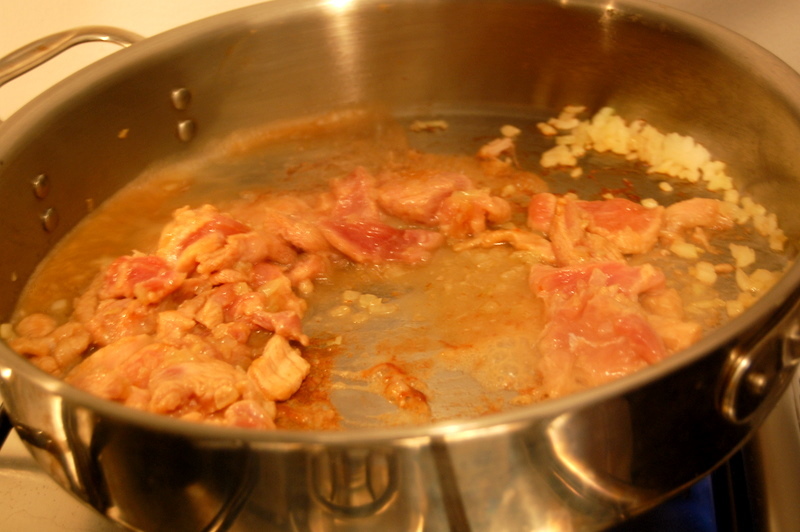 Heat 2 tbsp oil in a large wok or pan, and cook your shallots if you are using fresh shallots until they are golden, and then add pork. 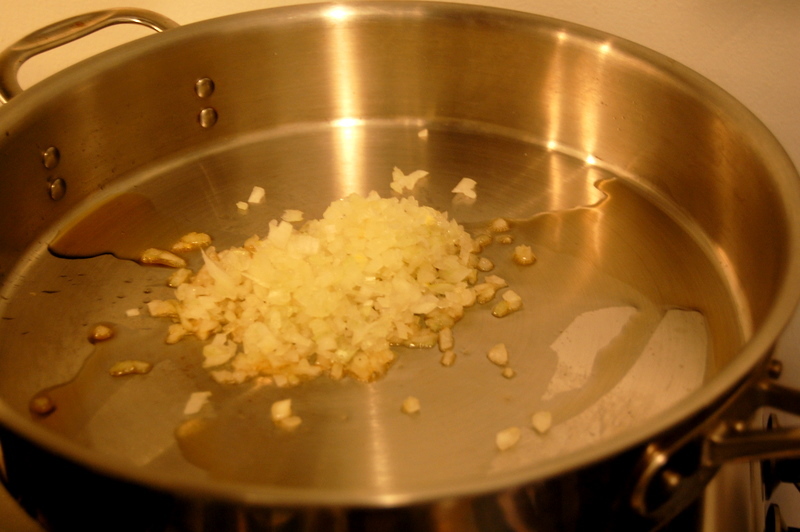 (Forget the shallots if you are using fried, you will add these at the end then). 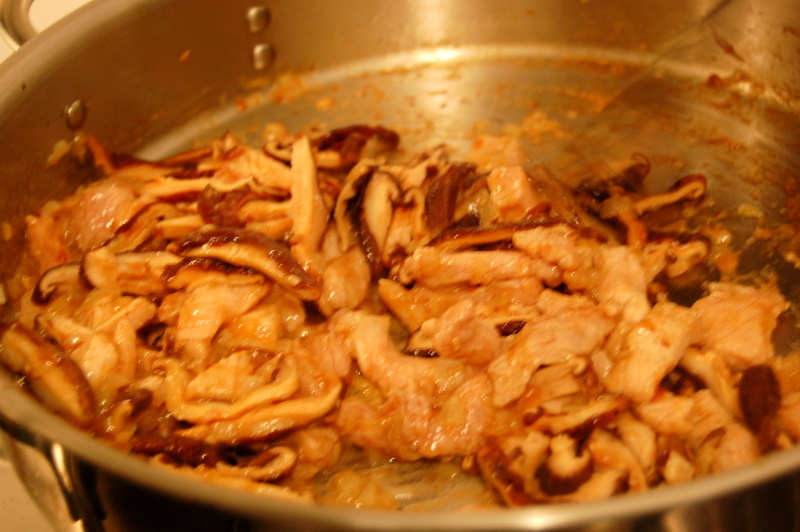 Once pork is cooked through, add mushrooms. 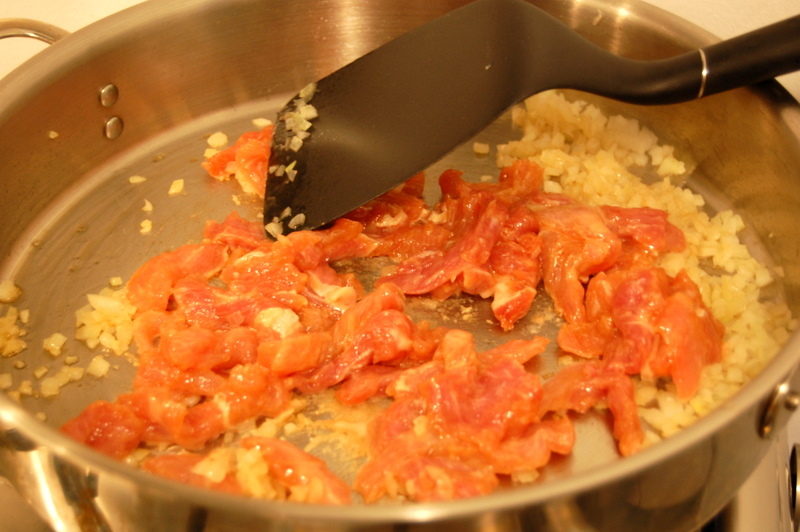 Cook until mixture is evenly cooked through. 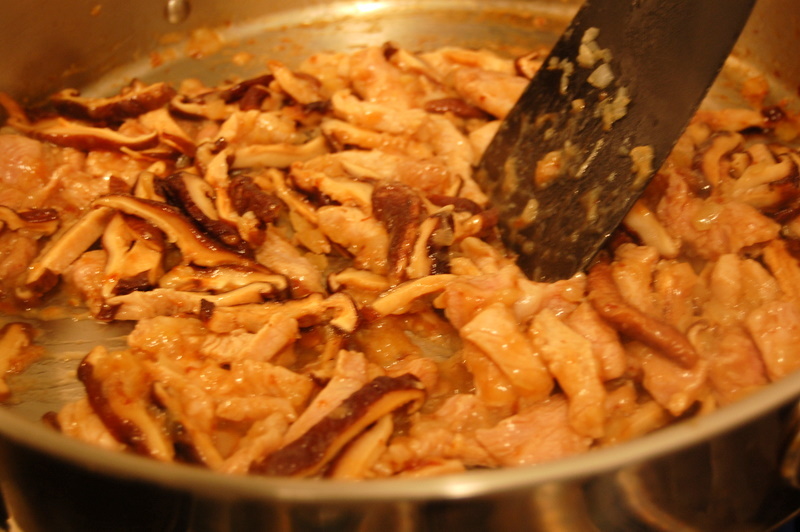 Add the sweet rice to the pan, and mix well so that all the pork and mushrooms are evenly distributed. 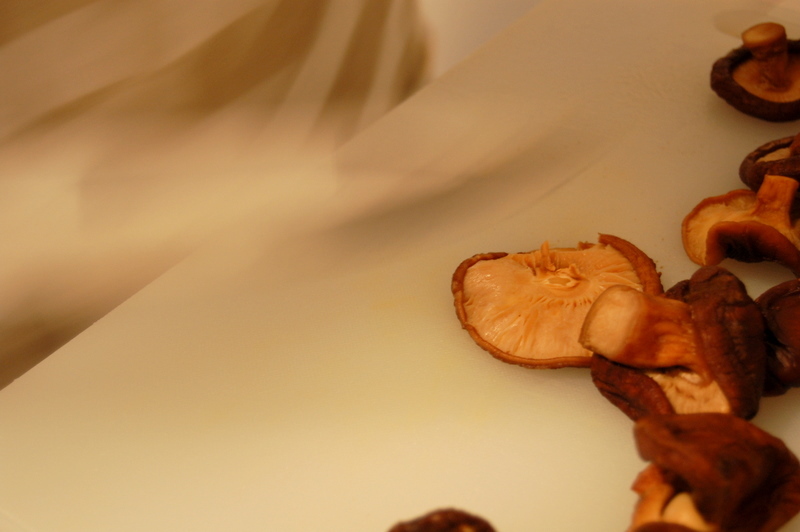 Add the mushroom water as needed to moisten the rice. 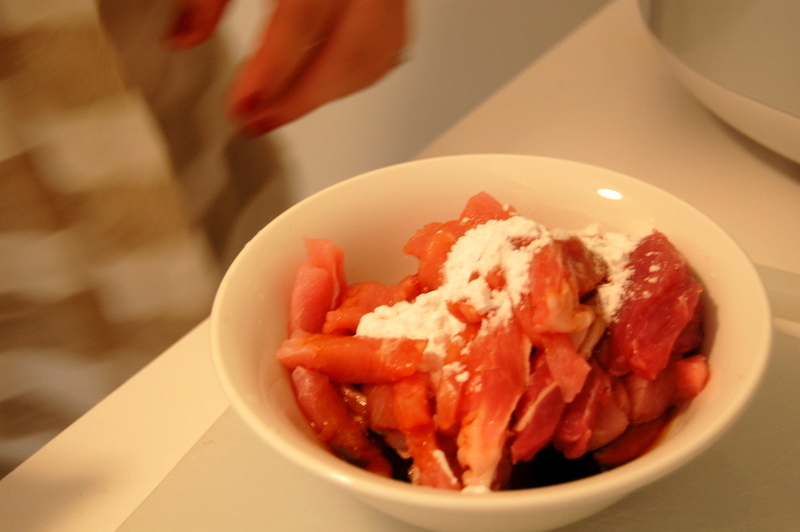 Then, one tablespoon at a time, add sesame oil and soy sauce, and taste after around the second or third tbsp-additions. Add until your desired taste is reached. 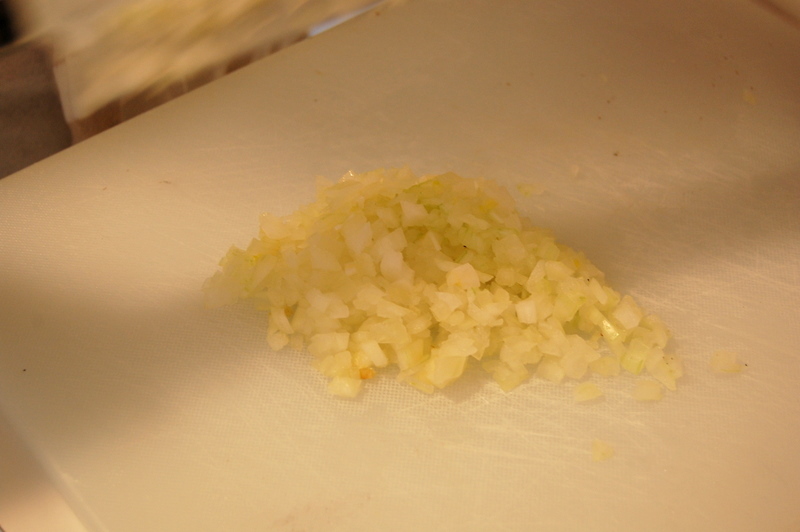 If using fried shallots, add on top at the end. ENJOY!! 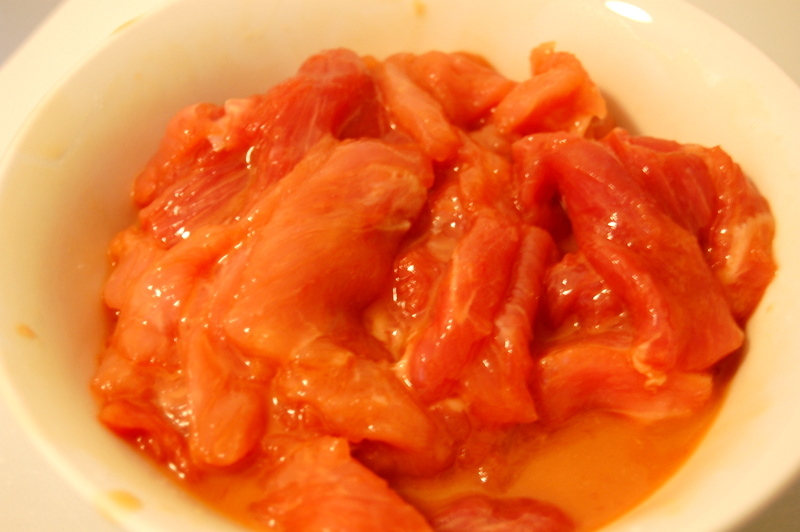 It also tastes pretty amazing with your desired hot sauce (sriracha, tabasco, etc). Hi! 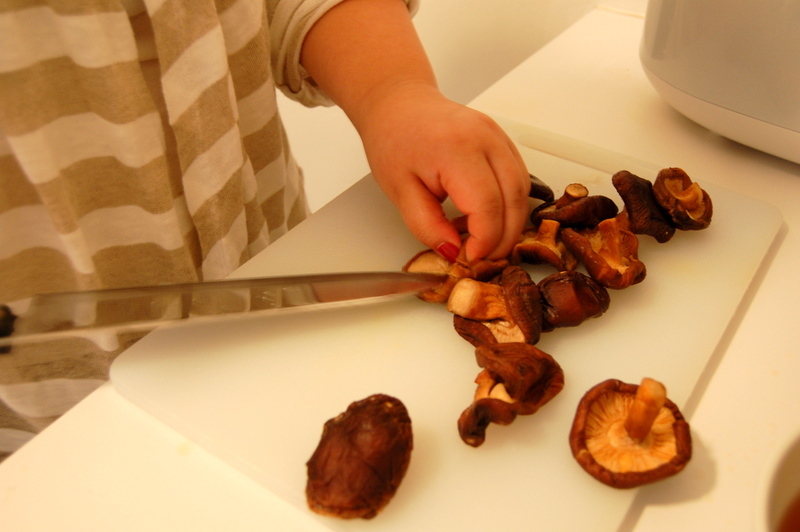 I’m curious about how you used the water that was saved from soaking the mushroom. Was it used in this dish, or for something else? Thanks! OO yes! Good catch! 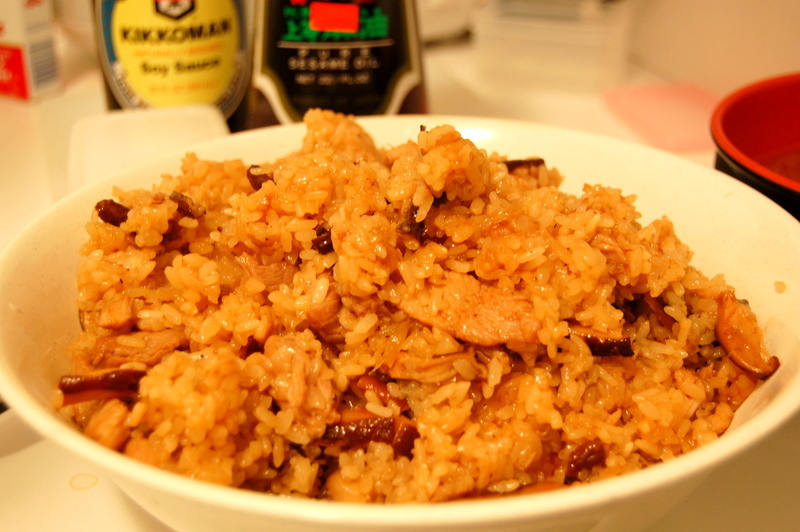 I used some of the water in the rice after I cooked the mushrooms and browned the pork, when the rice felt a little dry or was sticking to the pan. Let me know how it turns out! So…I’m a white man engaged to a Taiwanese woman, whose mother is an amazing cook; all Taiwanese food, of course. She makes a mean sticky rice. I enjoy impressing the family with my cooking (international), so I’m going to take your recipe and see what MOM thinks. Thanks! O WOW! I hope the recipe works out for me, please let us know how it turns out. Best of luck and congratulations! Ah this is such good news! We are SO glad we could help and wish you the best in health, happiness, and joy in the future! 1. 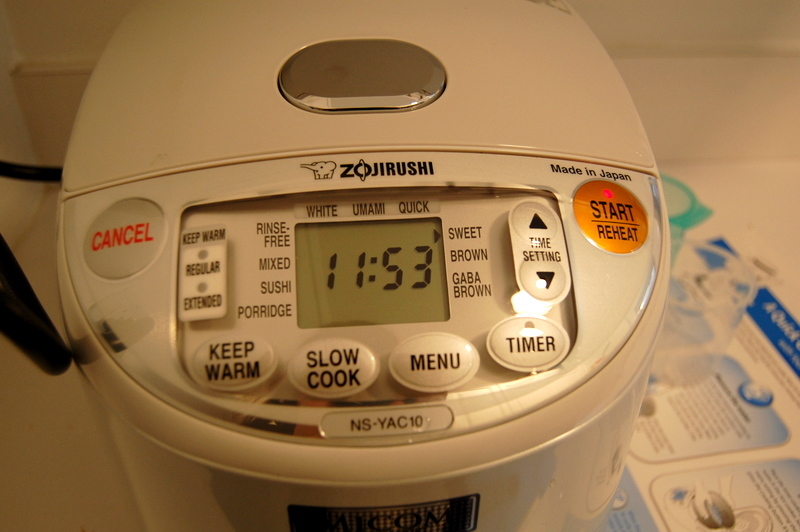 From your picture, I see you used the Zojirushi NS-YAC10 rice cooker, which has a setting for sweet rice. I downloaded the instructions for that rice cooker, and saw that it has a separate water level scale for sweet rice, brown rice and white rice. I assume that you followed that scale and added water up to the 3 cups level for sweet rice. 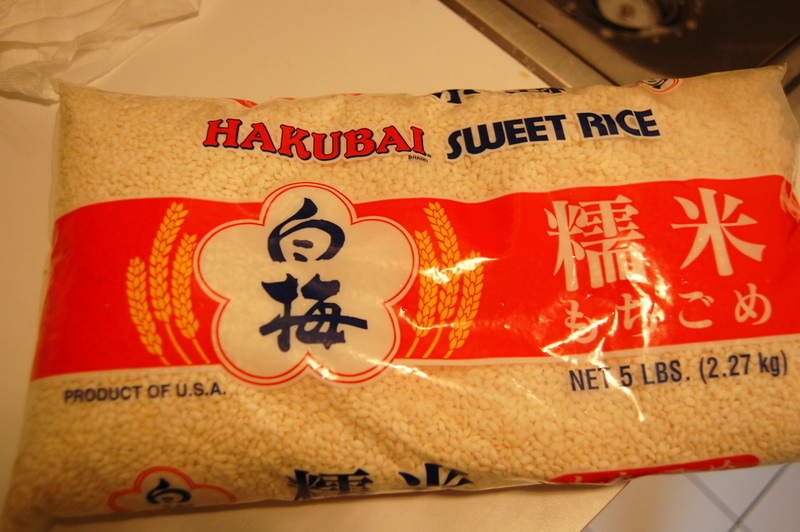 The instructions did not mention anything about soaking the sweet rice before cooking, but did you soak the rice? 2. 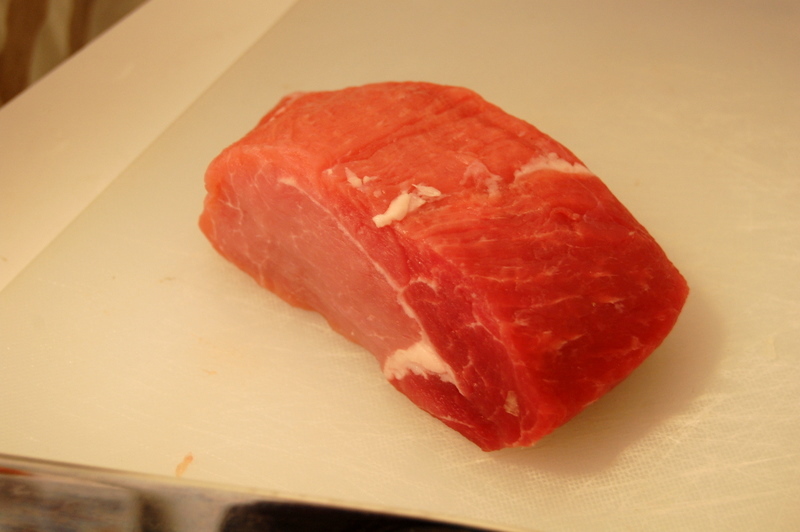 For step #4 (frying pork), what level heat should be used? Same heat level for mushrooms? 3. 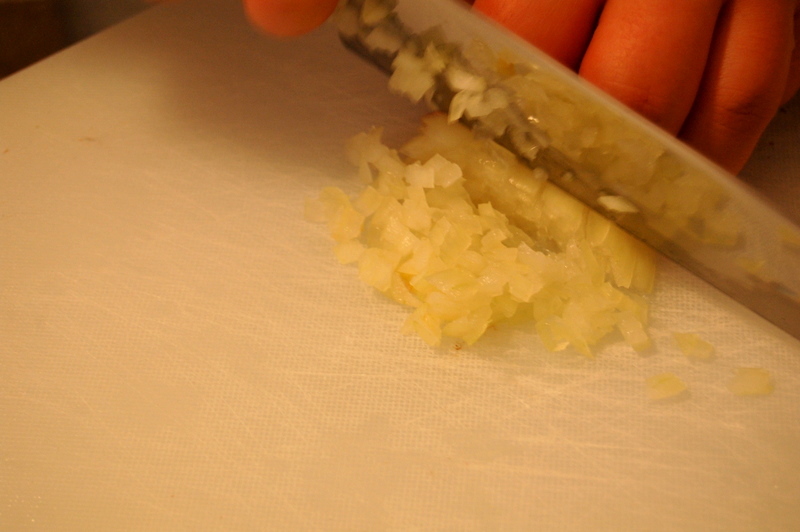 For step #5, when mixing in the sweet rice and adding the sesame oil and soy sauce, what should the heat level be? 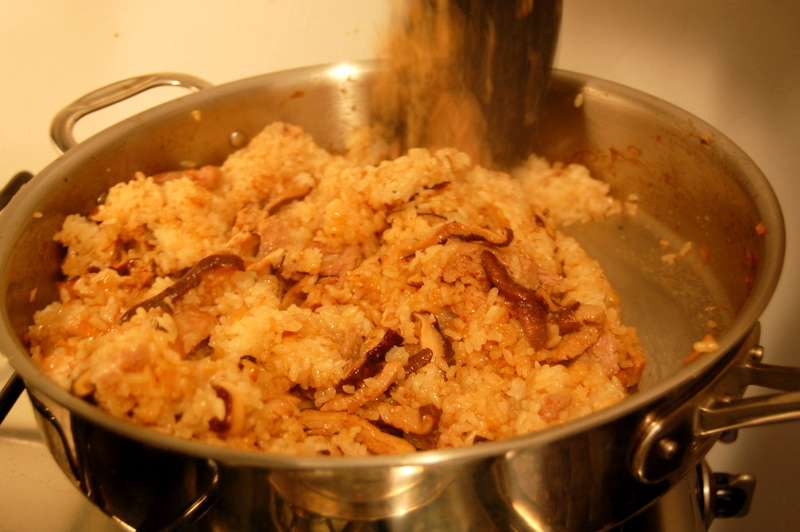 You are currently reading Taiwanese Glutinous “Oil Rice” 油飯 (You Fan) at Career: Housewife.